Vietnamese superstar jungler Do “Levi” Duy Khánh is moving to Los Angeles as the jungler of 100 Thieves’ new academy roster, the team revealed earlier today via Twitter. Arguably the best player to come out from any of the current emerging regions, Levi first stunned fans at the 2017 Mid-Season Invitational with his hyper aggressive jungling style, and unique strategies. 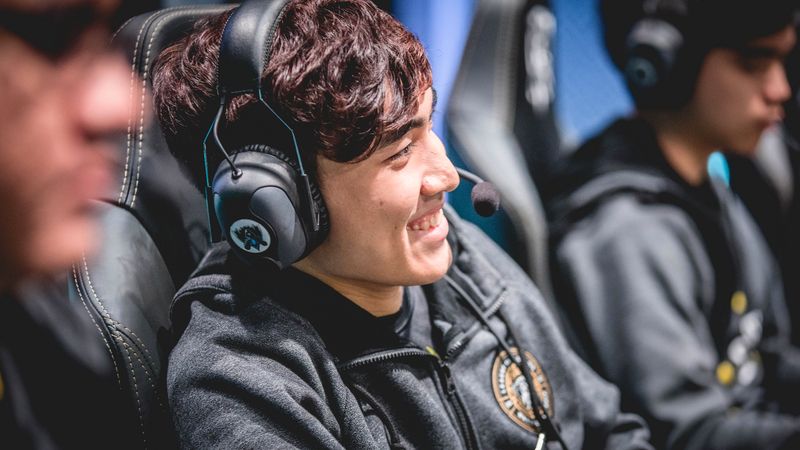 Levi’s play helped the GIGABYTE Marines take games off TSM, Team WE, and G2 Esports. Able to qualify for the following World Championship tournament, Levi continued to impress fans and pundits alike with his unique play. The GIGABYTE Marines’ victory over Fnatic, where Levi’s Nocturne reached level six by five minutes, has gone down in history as one of the best matches to ever be played at a World Championship. To play alongside Levi, 100 Thieves has enlisted the help of top laner Maxwell “Kaizen” Waldo, mid laner Allen “Linsanity” Lin, AD carry Richard “Rikara” Samuel Oh, and support Ryan “Whyin” Karaszkiewicz. While Kaizen and Linsanity haven’t played competitively aside from this year’s Scouting Grounds tournament, both Rikara and Whyin spent the 2017 season playing in the North American Challenger Series on Gold Coin United. Although Gold Coin United won both NA CS splits that year, the team was unable to advance into the NA LCS through either promotion tournament. 100 Thieves is the sixth NA LCS organization to complete its roster for the fast-approaching Academy League. Team Liquid, Clutch Gaming, and OpTic Gaming are the only teams yet to announce their academy teams. While specific times and a match schedule have yet to be revealed, the NA LCS Academy League is set to start on Jan. 18, while the league’s first broadcast will be on Jan. 19.